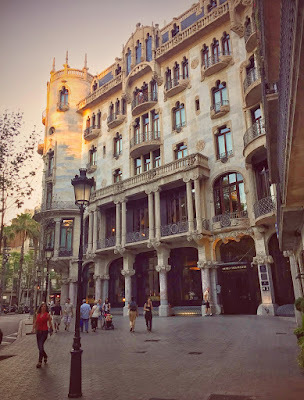 Once upon a time it was the most luxurious house in Barcelona- art nouveau building by Luis Domènech i Montaner. 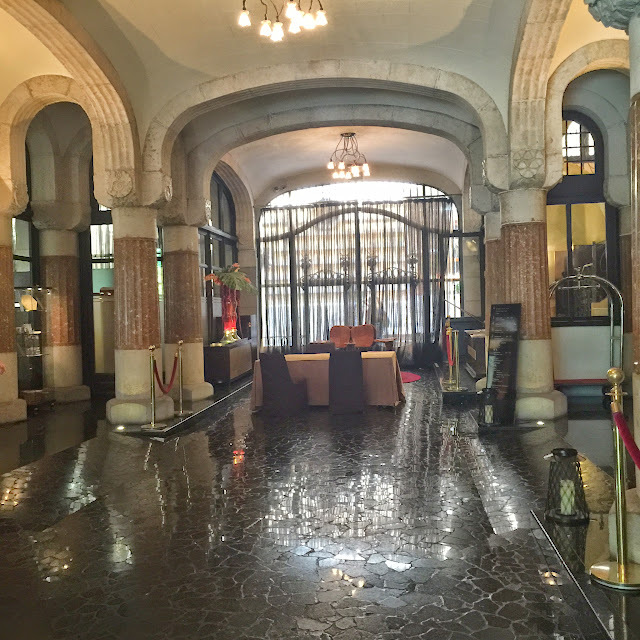 In 2004 it went under a huge renovation and here we have the splendid hotel Casa Fuster, belongs to Hotel Center and is a genuine gem. The furnitures has tried to follow the line of art nouveau and compliments in perfection the interiors of this wonderful place. It is elegant and cozy. Apart from the 96 rooms, & suites with some of the most wonderful views to Pg De Gracia, they have an excellent terrace, open to everyone; a great restaurant with different private corners to hold work meetings or special reunions; a ballroom for events and the Café Vienes to go anytime for a drink. 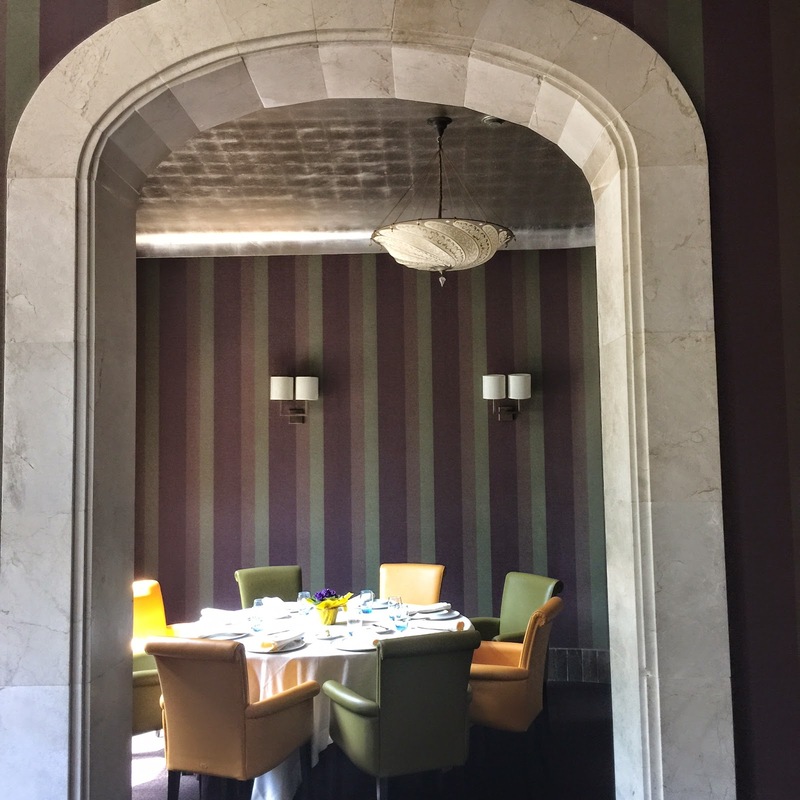 The Café Vienes, offers Jazz sessions every Thursday night in an idyllic entourage. I had the pleasure to assist to one of their sessions. I highly recommend it. For 20€ you get a glass of Champagne or cocktail and get to enjoy 2 hours of jazz. You also have the option to dine there. This hotel is well situated and is perfect for holidays or a business trip. They also have, nearby, some apartments which are ideal if you come with family for a longer holidays. Hotel Casa Fuster 5GL, on Passeig de Gràcia, 132. Cozy corners in the restaurant. Labels: Cocktails and Wine..., Events, Great for events, Hotels, Lifestyle, Somewhere special!, Vermut and wine!